A Hungarian company distributed knives under the brands ‘BLAUMANN’ and ‘SWISS HUFEISEN’ in Germany and in other European countries including Hungary. The knives were manufactured in China and had no connection with Switzerland. On the handles of the knives, a cross with equal arms can be seen within a pentagonal shield with three curved sides (Contested Sign). Victorinox AG is the owner of the following trademarks protecting a cross with equal arms in a pentagonal shield with curved sides (the infringement action was based on the first EUTM, referred to as the Cross & Shield trademark) for among others cutlery. 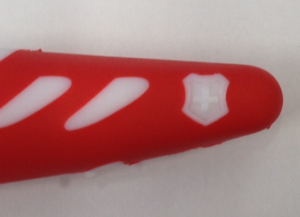 Victorinox is the only company, which has been authorized by the Swiss Confederation to register a colour trademark similar to the Swiss coat of arms (see the third, Swiss national trademark). 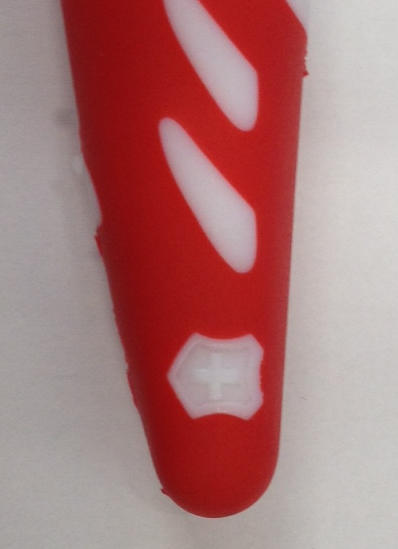 The knives marked with the trademarks of Victorinox have decisively contributed to the excellent reputation of Swiss products. After the Hungarian customs authority had seized more than 30,000 products bearing the Contested Sign, Victorinox filed a request for interim injunction against the Hungarian company. The first instance Metropolitan Court ordered an ex parte injunction. As a consequence, the first instance Metropolitan Court rejected the infringement claim in the main action meanwhile brought by Victorinox. However, it did not base this on absence of likelihood of confusion, but on the fair use provisions protecting descriptive use. The court stated that although the overall impression of the compared signs was similar, the defendant did not commit trademark infringement. 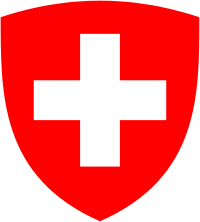 The use of the Swiss coat of arms was considered fair use of the sign, referring to Swiss quality, even if this reference could be eventually false. As such it was protected by the limitations of the effects of a trademark (Art. 12(b) CTMR – now: Art. 14(1)(b) EUTMR). Victorinox filed an appeal against this resolution. The Metropolitan Court of Appeal upheld the first instance resolution in the main action in effect, however, again it established that there was no likelihood of confusion for the same reasons it relied on for lifting the interim injunction. Victorinox filed a revision claim with the Supreme Court (Kuria). The Supreme Court established that there was a likelihood of confusion between the signs. Moreover, it did not agree that the defendant’s use was fair use and thus safe from a finding of trademark infringement. Accordingly, the Supreme Court annulled the first and second instance judgments remitted the case back to the Court of first instance. The Metropolitan Court therefore returned to its original finding that there was infringement and ordered further sanctions (such as the publication the operative part of the judgment on the defendant’s website). This first instance judgment became final and binding. The judgment of the Supreme Court means that where a registered trademark resembles a state emblem, trademark protection shall prevail even if the contested sign resembles the same state emblem. An argument that the use of the sign resembling the state emblem is a mere reference to qualities of products originating from that state shall not be accepted. This is to be welcome because the registered trademark, which was obtained with the consent of the Swiss Confederation, must be given due protection. From Victorinox’s perspective, one can only say – all’s well that ends well.